spiced marinated grilled cottage cheese cubes. paneer tikka recipe with step by step photos and video – paneer tikka is a popular and delicious tandoori snack which can be easily made at home. for newbies to indian food, paneer tikka is marinated paneer (cottage chese cubes), arranged on skewers and grilled or baked in the oven. specifically the recipe is called as tandoori paneer tikka, as the paneer is cooked in the tandoor which lends a subtle smoky charcoal flavor to the paneer. paneer tikka is usually served as a starter. i have made the paneer tikka in the oven and not in a tandoor. hence i am not calling it tandoori paneer tikaa 😉 even though i made it at home, the recipe was similar to the one which is served in the restaurants. in fact it was much better than the paneer tikka served in the restaurants. to make this paneer tikka in tava, please check the notes below in the recipe section. paneer tikka is served with pudina chutney. it is the same chutney that is served with all tandoori items. you can also grill or barbeque the paneer tikka. if you have a grill option in your oven, you can use it. i baked the paneer tikka for 2o minutes in the oven at 240 degree celsius with only the top heating element on. 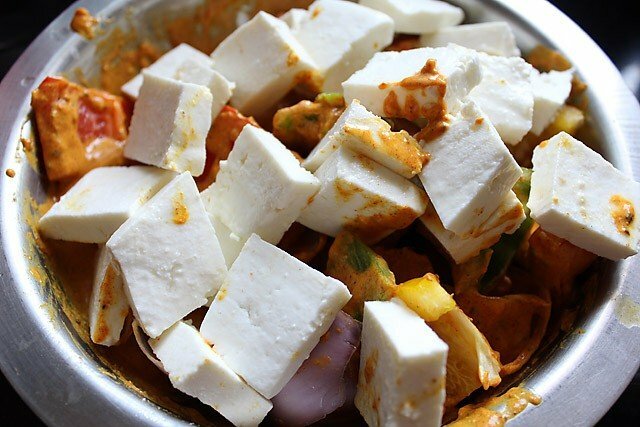 best to marinate the paneer cubes for 2 hours or more. 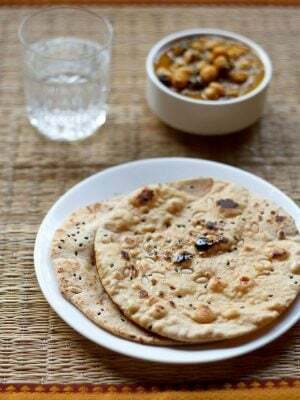 you can also keep the marinated paneer overnight in the fridge. since i made the paneer tikka for dinner, i marinated the paneer and veggies for 2 hours in the refrigerator. more marination, the better the flavors gets infused in the paneer and veggies. the veggies used can be of your choice. i used red, yellow and green bell pepper with onions. you can use baby corn, mushrooms, cauliflower, tomatoes, broccoli etc. if you do not have oven or grill, then this should not stop you from making paneer tikka at home. on a non stick tava/flat pan heat some oil. keep the skewered paneer on the tava and fry the paneer and veggies till cooked. 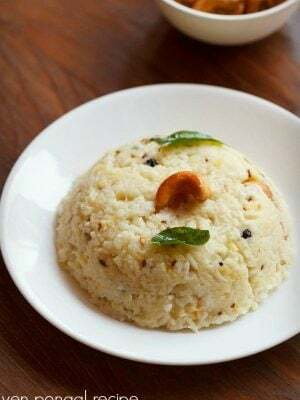 i have done both the methods and there is not any difference in the taste except the texture. frying makes the veggies and paneer a little crispy than baking or grilling these. just to ensure that you have a smooth frying experience. add some besan (gram flour) to the marinade as it avoids the paneer from sticking to the pan. whilst grilling or baking the paneer tikka, they become dry. 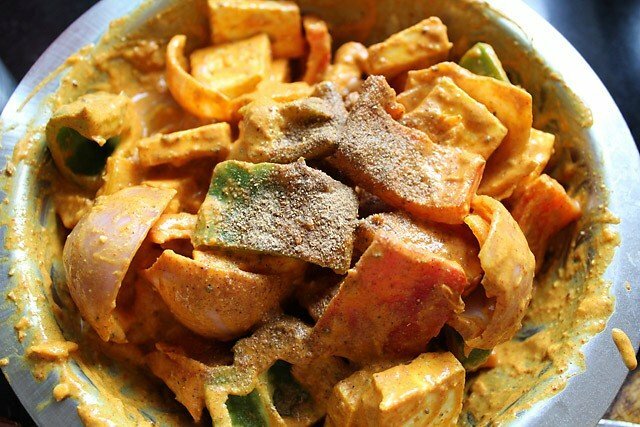 hence oil is applied to the paneer and veggies to avoid them from becoming dry. don’t overcook the paneer as they then become rubbery, dry and hard. the paneer shoud be soft, well cooked and yet succulent. 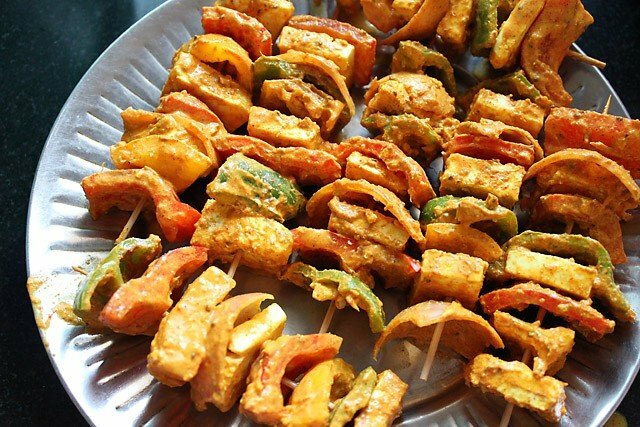 the extra marinade can be applied or brushed on the paneer tikka before baking/grilling them. 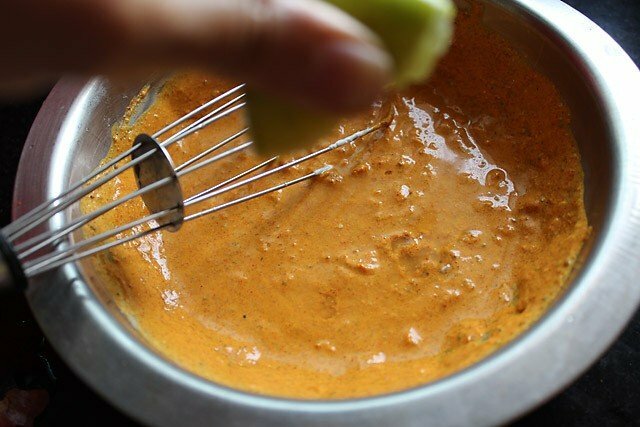 if you are making paneer tikka masala, you can use the extra marinade in the gravy. please note that i have updated the post with a video and final new pics. the veggies also should be chopped in square shapes. keep the chopped veggies and paneer aside. you could also add oil at this stage if you do not want to brush the paneer tikka with oil later. 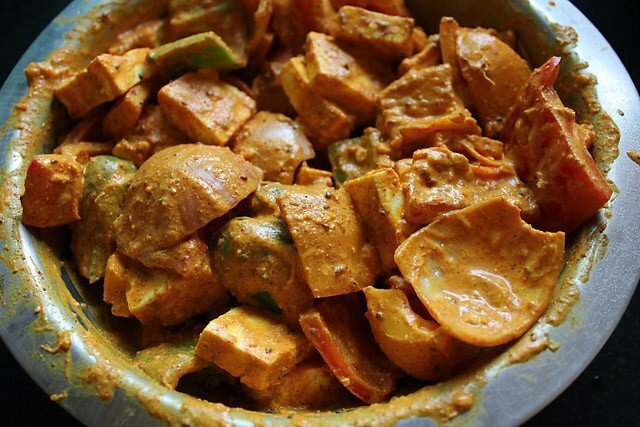 marinate for atleast 2 hours or more in the refrigerator. 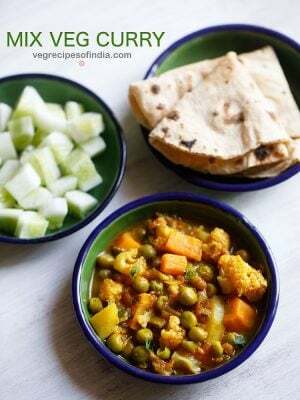 remove after 2 hours and bring the marinated paneer and veggies at room temperature. 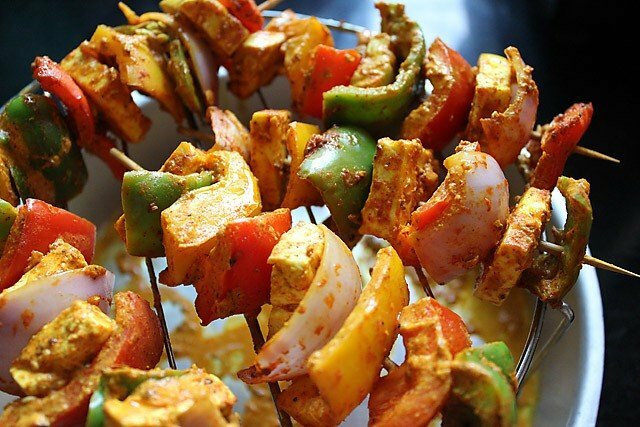 skewer the veggies and paneer alternately on skewers or tooth picks. preheat the oven for 15 minutes at 240 degree celsius. 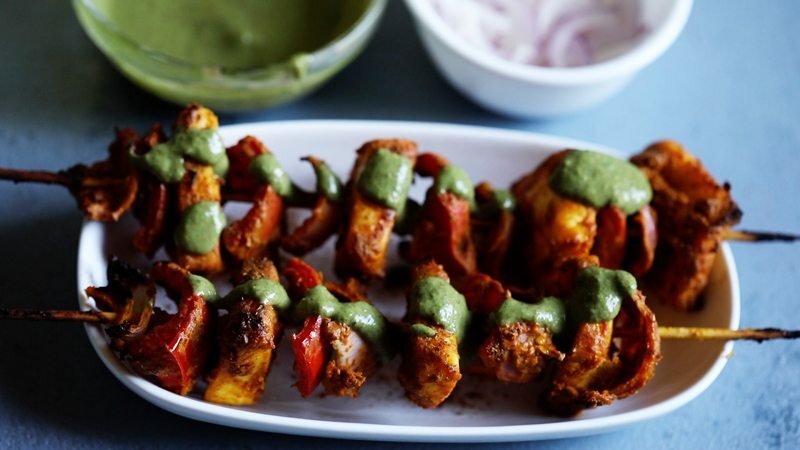 on a rack or a plate arrange the paneer skewers. brush some oil on the veggies and paneer. bake the paneer tikka for 15 to 20 minutes at 240 degree celsius or till the sides of the paneer are golden or slightly charred. baking time will vary from oven to oven. half way through turn the skewers. keep again in the oven and bake paneer tikka till golden. arrange the panner tikka on a plate. 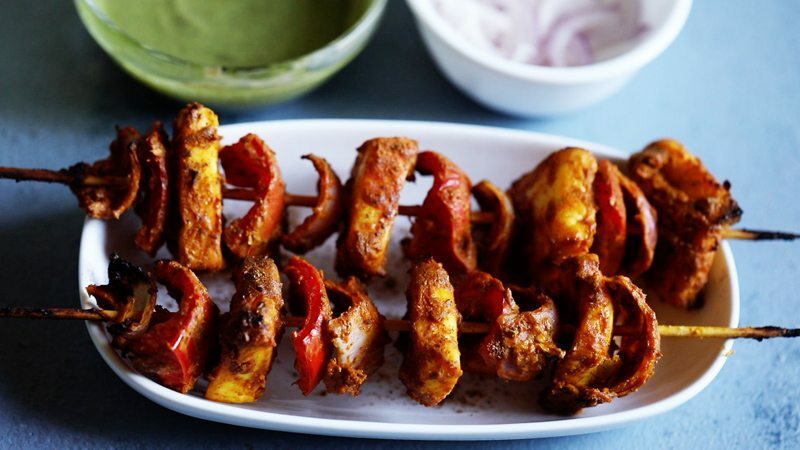 sprinkle some chaat masala and lemon juice on paneer tikka. use a non stick tava so that paneer does not stick while frying. add two tablespoons besan in the marination. this will prevent the paneer from sticking to the tava and will give a nice taste. 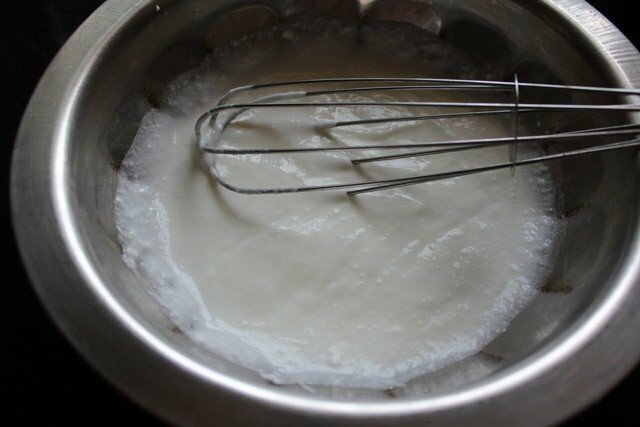 1. take 200 grams thick curd/yogurt or hung curd in a bowl and smoothen the curd. 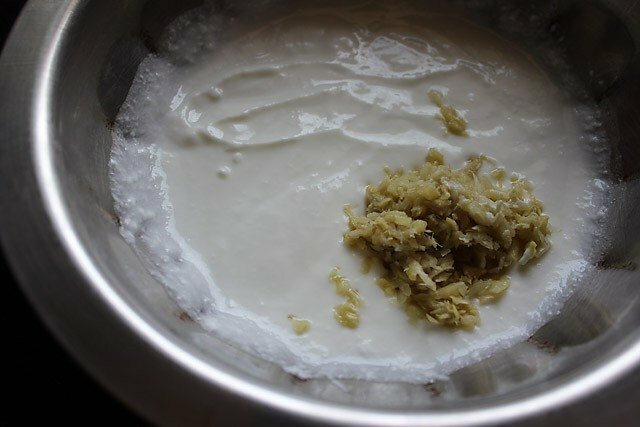 2. add 1 tbsp ginger garlic paste or crushed ginger garlic to the curd. 3. add all the dry spice powders and black salt to the curd. 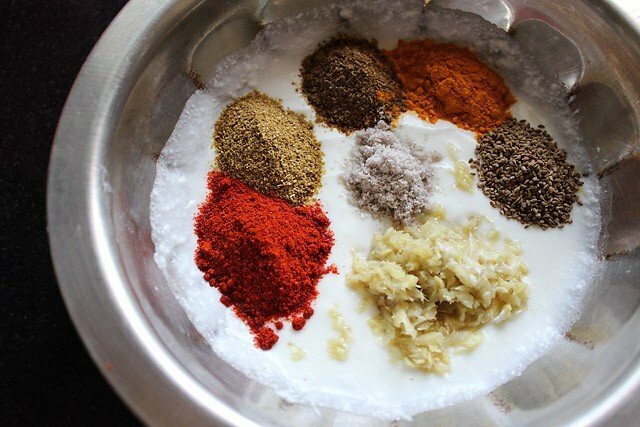 below you see the following indian spice powders in clock wise order: 1 to 2 tsp kashmiri red chili powder, 1 tsp coriander powder, 1 tsp cumin powder, ½ tsp garam masala powder, ½ tsp turmeric powder, 1 tsp ajwain (carom seeds) and 1 tablespoon oil. in the center is black salt. 4. hmmm. 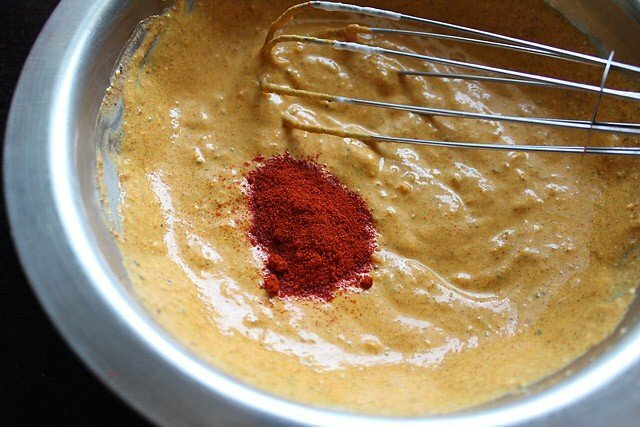 i have not used any red color in the recipe and i feel that the redness is less in the marinade… hence i added some more kashmiri red chili powder to the marinade. kashmiri red chili powder gives a nice red color to the food and its not hot. 5. mix well. can you see some little more redness in the marinade? 6. add ½ tablespoon lemon juice, mix and keep the marinade aside. 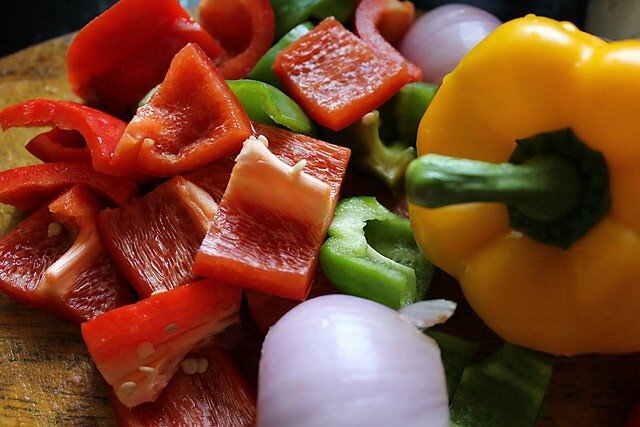 7. dice the veggies (bell peppers and onions). you can also use tomatoes if you want. 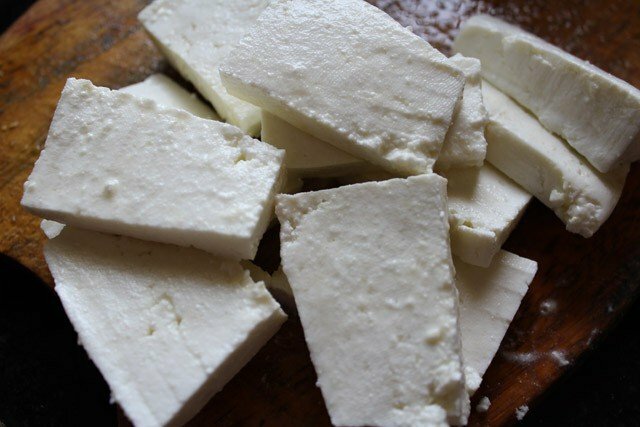 8. chop 250 gms paneer (cottage cheese) and cube them. 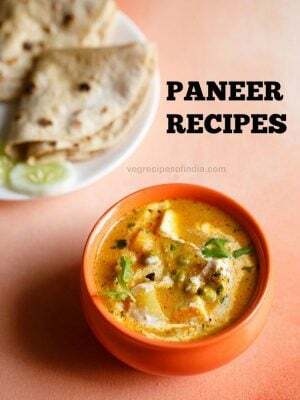 best to use homemade paneer. 9. add the veggies and paneer to the marinade. 11. ok… everything is marinated well. 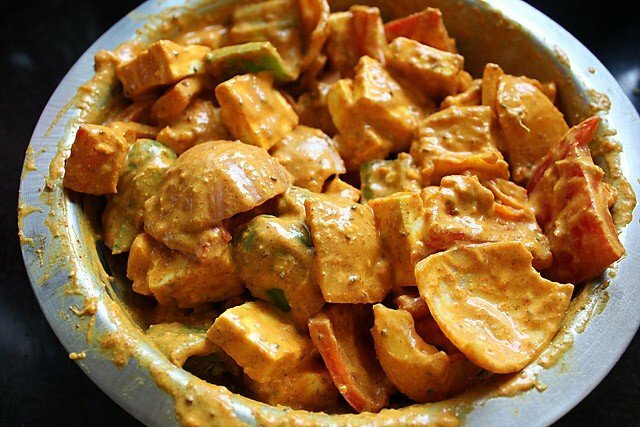 cover and keep the marinated paneer and veggies in the refrigerator for 2 hours or more. 12. this is how they look after 2 hours. 13. skewer the veggies and paneer in a skewer or tooth pick. 14. arrange them on a plate or a rack. brush with some oil and keep in the oven which has been preheated for 15 minutes at 240 degree celsius. 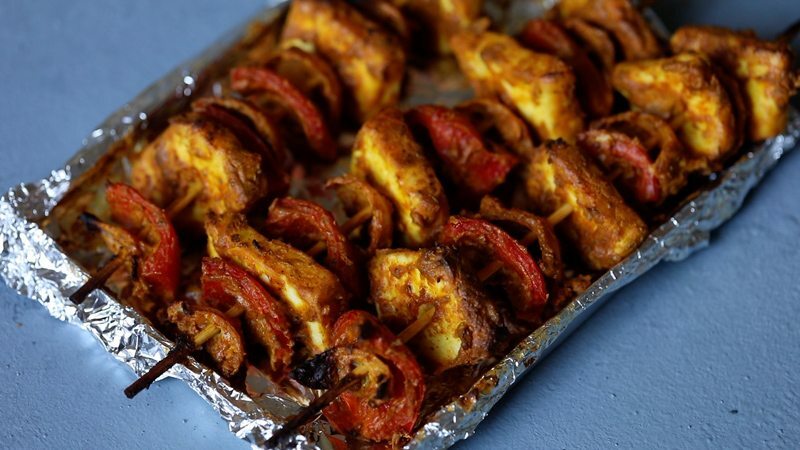 half way through, remove from the oven and turn the paneer tikka skewers. again keep back in the oven and bake paneer tikka for 15 to 20 minutes or till the edges of paneer and veggies are golden or slightly charred. 15. remove once done. serve the paneer tikka sprinkled with 1 tsp chaat masala and lemon juice. also serve mint chutney, onion slices and lemon wedges as sides. Thanks for sharing this recipe. Is it ok to add kasuri methi? yes you can about 1/4 to 1/2 teaspoon of kasuri methi. Do you think if I use tooth picks to make this then the tooth picks will get burnt in an OTG? tooth picks can burn in the OTG. they will darken. you can soak toothpicks in water for 20 to 30 minutes and then use them. this way the possibility of the tooth picks getting charred is less. I love your food blog. I have made a lot of recipes and learned cooking through your website. thanks sakshi. i am not sure if paneer tikka will turn out good in air fryer. i have made samosas, patties and onion pakoras in air fryer, but not sure about paneer tikka. you will have to give a try. Hi Dassana i tried this tday but not sure what i did wrong. The masala which was inside the capsicum and even a bit of masala on the paneer looked uncooked. I was scared of burning the tikka so took it out of the oven. Pls help! Btw the masala was yum. Thks for this amazing recipe! thanks anjana. don’t worry. the tikka won’t burnt. it need some time to cook. while cooking, the sides and corners get charred first. so when you see the sides and corners getting charred, then you can remove the tikka. if you keep for some more time even after the sides get charred, then the tikka can get burnt. I want to try this reciepe. Here I need to grill the paneer or bake it in convection mode. either will do. you can either grill or bake in convection mode. Hi., Just went through your recipes. Really awesome. Saw the recipe of Panner Tikka. In case we keep it on Non stick tawa on gas, should we cover with a plate. How long will it take to cook in Tawa/gas..
thanks meena. if you keep on non stick tawa, then no need to cover with a plate. also you can fry the veggies and paneer separately. there is no need to thread them on skewers. it takes about 3 to 4 minutes for paneer to cook and veggies take a slightly longer time. I have been following and trying all ur receipes from long time or u can say I learned cooking frm this site only,I made paneer tikka today and it taste awesome dear,thanks a ton for such yummy receipes,keep posting love u….. Welcome Pritee. Glad to know that recipes helped you in learning cooking. Thanks for your positive feedback. 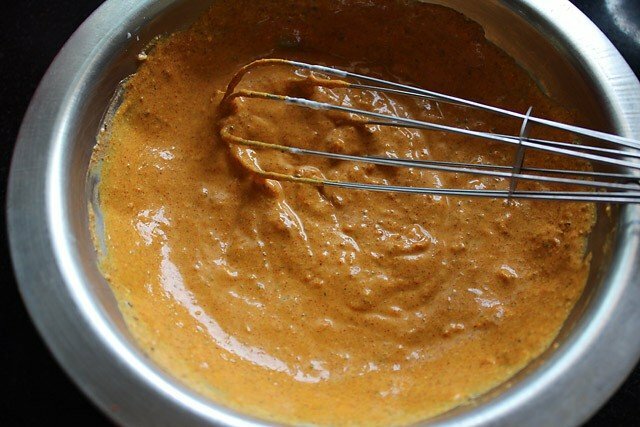 Some cooking site says to use besan in Tikka ,is it optional or not required? Which is better with or without besan ? if preparing paneer tikka in oven, then no need to add besan. if preparing paneer tikka in a tawa or pan, then besan gives a nice crisp coating and also avoid the tikka from sticking to the pan. both ways paneer tikka tastes good. I made this yesterday. Came out really awesome. Thank you for the recipe. Hi, dassana ma’am I really love all your recipes and you have the most attractive way of presenting them, you must be a very good photographer too?. The dishes are soooo appetizing and making me prepare something. I’m basically a non-veg lover but your dishes made me vegetarian?. I really appreciate and honour your effort to it. God will bless your family for this. 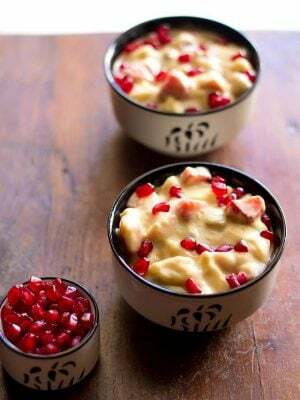 And I want to try this recipe can I make this with tofu, will it be with the same procedure as for paneer. And will all the paneer recipes can be substituted with tofu ? I’m wanna try please guide me ma’am. thank you very much vidhya. you can use tofu. if using a tofu block, then just press the tofu block between two heavy weights like a heavy bowl or plate and keep it like that for some minutes. you can check this method on google. Step by step and easy lunch recipe description with attractive images. Thanks for sharing it in such a wonderful way. Welcome Smita. Glad to know that you liked the recipe presentation. I make paneer tikka on gas, today I want to add baby corn in it. How can I add? Should I boil it first and then add ? supriya, if you want to use baby corn, then you do need to blanch them, so that they get partly cooked or you can even half steam or cook them. for blanching, boil water. then add baby corn to boiling water. boil for 2 to 3 minutes. then switch off the flame. cover the pan and keep aside for 10 to 15 minutes. then marinate along with paneer and other veggies. What is the best time to keep in oven on grill mode? pranay, are you referring to grill mode in microwave oven or an OTG. there is no standard time as all ovens have different capacities. for grilling, the top heating element is used. due to this the food gets slightly charred when its grilled. if the food is kept very close or close to the top heating element, the charring is fast and quicker, but here one needs to give attention to the grilling process or else the food can get burnt. My marination came awesome, I preheated the oven to 180 F and heated the tikka for about 35 minutes – I did it flip it after 10 minutes, brushed oil, but I still felt the paneer was not cooked. gayathri, you can keep for some more minutes for baking. temperature varies from oven to oven and so the time cannot be exact for any recipe. so in this case, you can keep the paneer tikka for some more time.